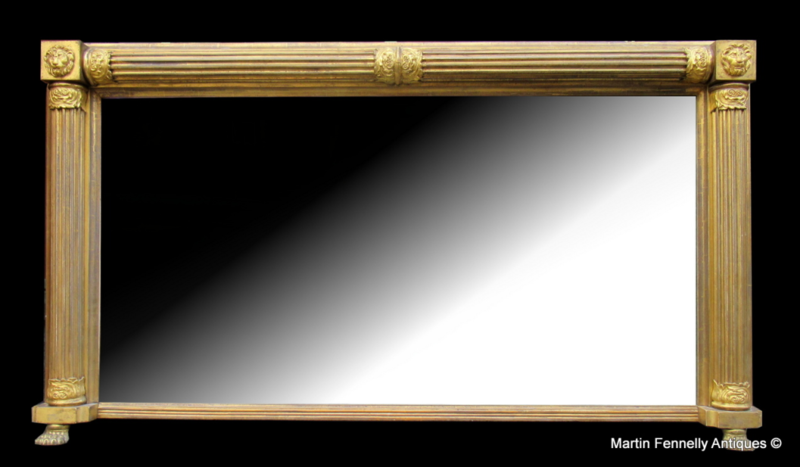 This Rare Irish Antique Overmantal has just arrived to my Gallery and the original Kearney Label still on the back. 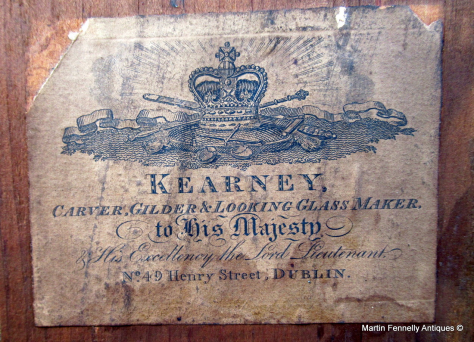 Joshua Kearney worked as a Gilder and Gilder in Dublin from 1797 to 1829. Kearney moved premises on 1804 to Henry Street from Great Britain Street (now Parnell Street). 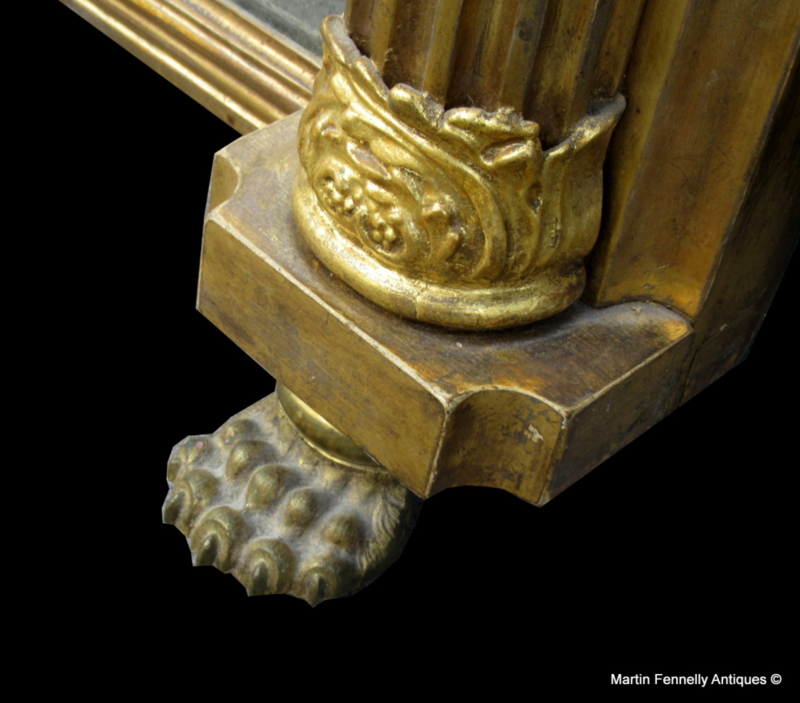 This Mirror is magnificently constructed by Kearney and has all the original detail intact. 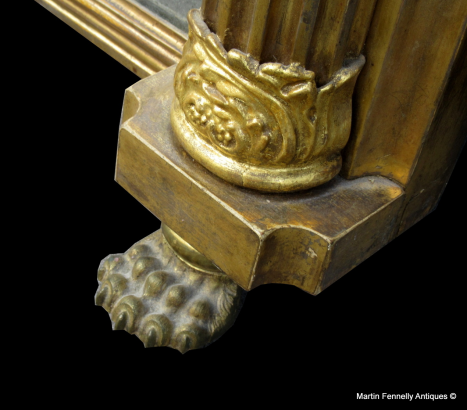 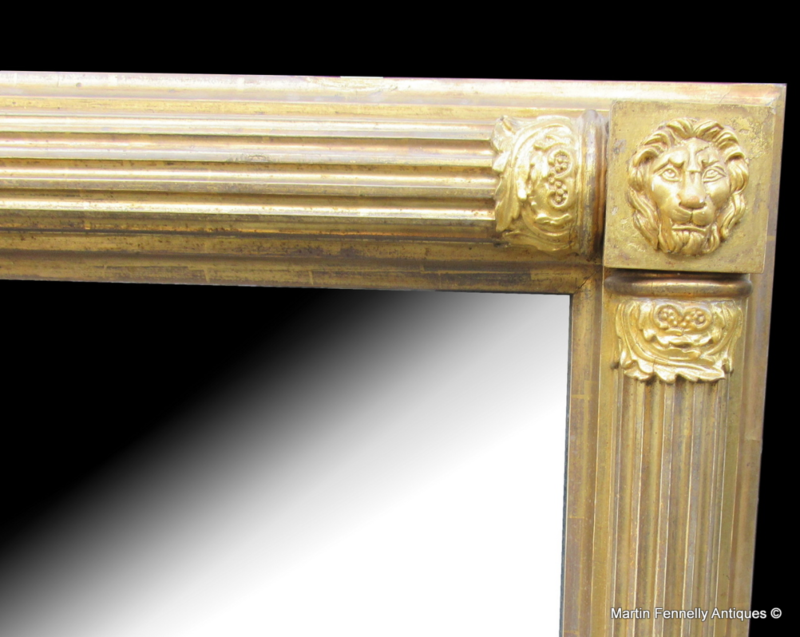 Reeded Columns with Lion Mask tops frame this mirror which is raised on the original metal cast claw feet. The Mirror was located here in Ireland in a Regency property and I was fortunate to locate this one.